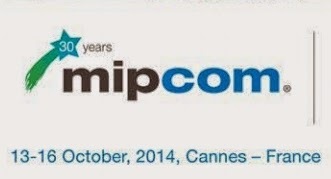 MIPCOM is an international entertainment content event that has been held for the past 30 years in France during the month of October. Last week, approximately 13,000 attendees traveled to Cannes to hear from industry experts, media leaders, buyers, Hollywood contributors and others. Citing the Golden Age of Television, MIPCOM speakers discussed new developments and overcoming difficult challenges over a series of panels and conferences. Among the important topics: the exploration of the future of television, and acquiring Millennial audiences. Ynon Kreiz, the CEO of Maker Studios, averred that “This is a demographic that is really valuable and really hard to reach,” and described short-form video as a great way to engage the younger generation. Twitter was also often mentioned. Their entire keynote can be viewed here. Former “American Idol” and “The X Factor” judge Simon Cowell proved to be a popular speaker, and attracted a lot of attention. He was selected as the Personality of the Year. The conversation also turned towards cable and OTT, and the event was held when HBO announced that they would be releasing a stand-alone streaming app. FYI Television endeavors to remain at the forefront of television as the industry constantly grows and evolves. We strive to provide accurate, flexible and compatible entertainment and TV metadata for all sorts of connected devices and mobile applications. Click below to learn more on how we're preparing for the future.